Here’s the first installment of Curbing Cars @ The Movies, in which our Research Director Rick Meier explores four cinematic visions of the future of cars and driving. In Part 1, we look back to turn of the 20th century, and the invention of the automobile. We see how the horseless carriage transformed the idyllic, pre-industrial city of Indianapolis, in Orson Welles’ The Magnificent Ambersons (1942). 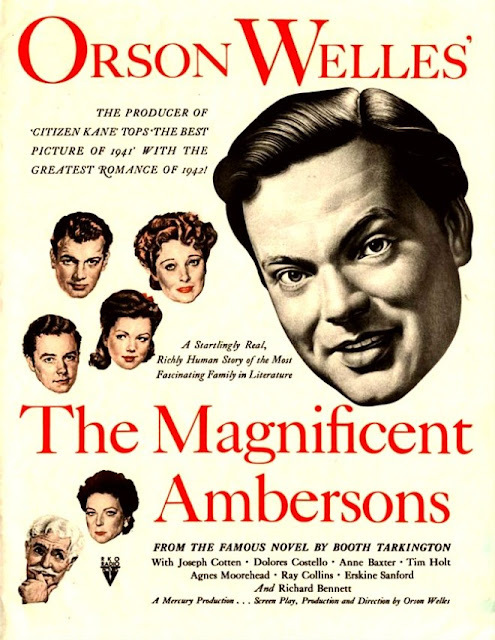 In 1942, immediately following his spectacular debut in Citizen Kane, Orson Welles delivered his second feature release to RKO Pictures: an elegant adaptation of Booth Tarkington’s Pulitzer Prize-winning novel The Magnificent Ambersons (originally published in 1918). It is the story of the once grand and prosperous Ambersons: rich and influential property owners in a small but thriving “Midland town” (based on Tarkington’s native Indianapolis, during the opening years of the 20th century). Welles opens his film with a series of vignettes portraying the way it used to be in sleepy, pre-industrial Indianapolis. In the first vignette we learn that, “back in those days” the only public convenience was the streetcar, and one on which the rules of chivalry were not yet dead. The film follows the great Amberson family and its ever-watchful neighbors as succeeding generations of Amberson heirs fail to maintain the great wealth and position won by their patriarch, Major Amberson. Faithful to Tarkington’s novel, Welles’s adaptation is set against the backdrop of America’s second industrial revolution (also known as the technological revolution). Behind each personal tragedy of the Ambersons we perceive the changing world of their bustling community as their quaint Midland town progressively spreads and darkens into a modern city. Ultimately, the greatest threat to the eminence of the Ambersons comes from the newly invented automobile. The family’s prospects begin to dwindle as the Amberson-owned houses on National Avenue (a district based on the real-life neighborhood of Woodruff Place, in Indianapolis) start to depreciate in favour of newer upscale suburban neighborhoods, now more accessible by car, and located further and further away from the increasingly smoky and bustling industry of the downtown core. 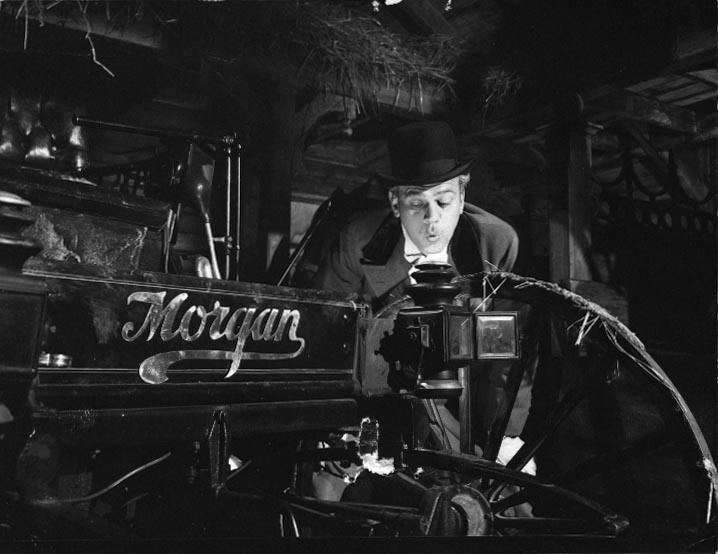 In a crucial scene, George—the current Amberson heir—disparagingly characterizes the automobile as a useless nuisance, giving rise to an insightful speech from the automobile manufacturer and family friend, Eugene Morgan (played by Joseph Cotton), about the ways automobiles could potentially impact human life. The subtext that drives the Magnificent Ambersons is the story of how the rise of driving gave birth to the suburb. 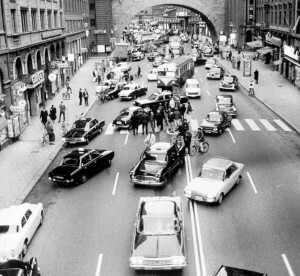 Here at Curbing Cars we look at the still-unfolding story of how the now increasing burdens of car ownership is coinciding with an historic period of re-urbanization. How Can You Get Around Without A Credit Card? Unless they were lucky enough to get a gift certificate, pretty much everybody who has joined Citi Bike, ZipCar or Uber has something in common: a credit card. 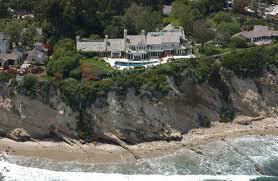 But what if you want to get around, and you don’t have a credit card? That’s a topic of active discussion in Chicago, where one in nine residents don’t have bank accounts, according to research reported this week by Streetsblog Chicago. 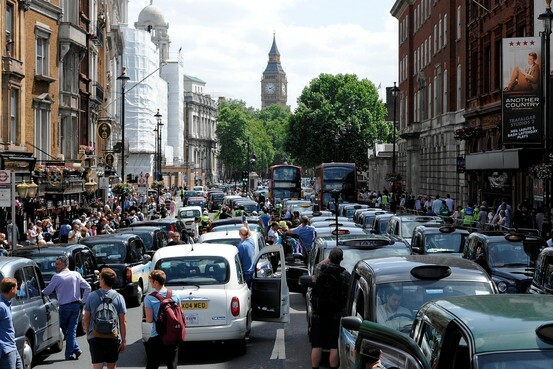 According to researcher Michael Carney at the University of Illinois at Chicago’s College of Urban Planning and Public Affairs, that translates to at least 135,000 people and perhaps more than twice as many people. In some parts of Chicago, one-third of area residents do not have bank accounts, but get by relying on cash or debit-style cards that aren’t linked to bank accounts. 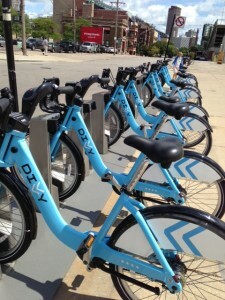 One of the biggest reasons bike share and other transportation programs ask for credit cards is to offset the risk of damage to bikes or vehicles, or even the theft of the equipment. A rider, driver or consumer without a credit card can’t be billed if the information isn’t available. Comments Off on How Can You Get Around Without A Credit Card? 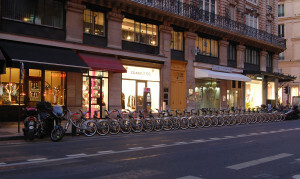 A Velib station in Paris. Photo via Wiki Images. 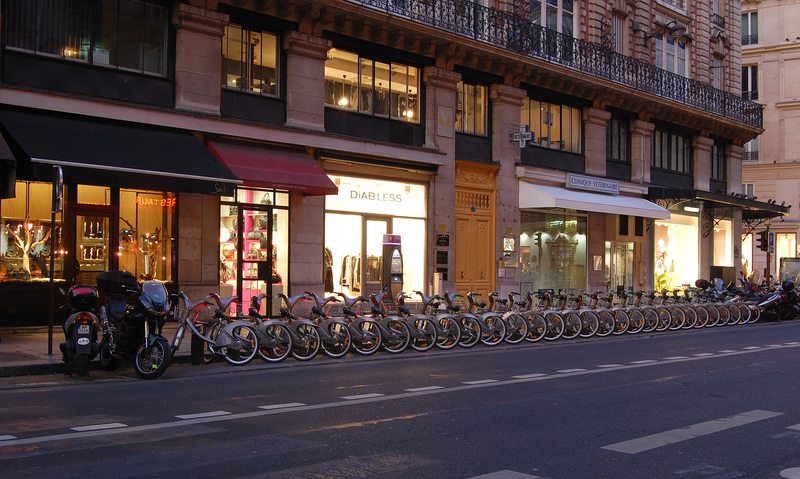 Paris is the world’s top city for bike sharing. A Velib is checked out every minute of every day. And, there’s one bike for every 87 Parisians. Minneapolis is thinking about putting streetcars back in service, and it’s just one of a number of cities around the world that are embracing new public transit programs. 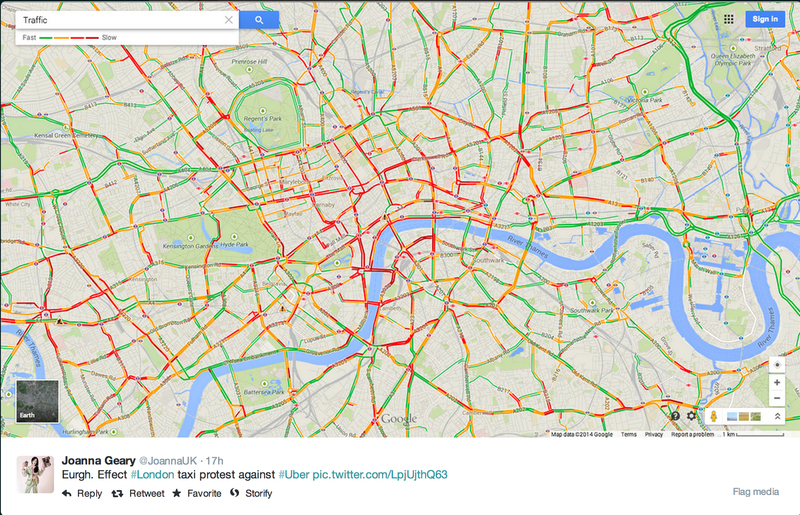 Were you caught by the BART strike in San Francisco, and checked out Uber for the first time? Maybe you used it to get home when the subway flooded in Toronto this summer. These are the kinds of stories that Curbing Cars is covering. We’ve made it our mission to tell you how people are rethinking how they get around. You can find Curbing Cars all over the place: on Twitter, Facebook, Tumblr, and our new Jalopnik blog. Soon, we’re going to publish our Curbing Cars ebook, where we’ll all these things and come to some predictions about what they mean for the future of transportation.